This is a magnificent 1867 hand colored case map of Southern Italy, Naples, Sardinia, and Sicily. 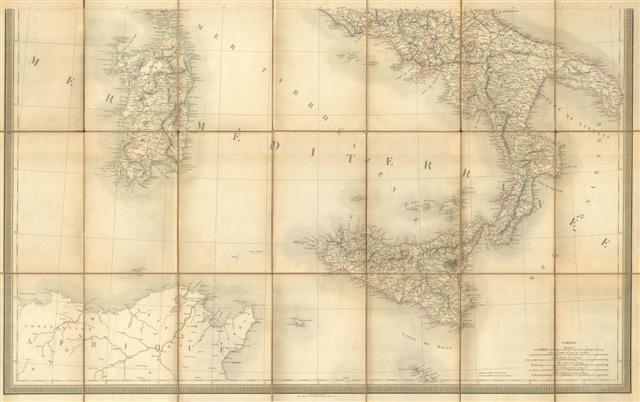 Produced by the well regarded mid 19th century French cartographer J. Andriveau0Goujon in Paris. The map is official entitled 'Italie Partie Meridionale.' Divided into 21 linen backed segments. Generally fine condition, no restoration, slight age toning, minor transference.